Come and see! Our new website is here. We have wanted for some time to have a website for the monastery, distinct from Vultus Christi. Brother Benedict has created a website that is simple, attractively designed, rich in content, and user-friendly. Some of you may have heard that at the end of February 2012, with Bishop Slattery's permission, blessing, and encouragement, we will be relocating to Ireland. There has been much speculation in some quarters -- not all of it helpful -- as to why we are going to the Isle of Saints and Scholars. It is difficult to do anything at all without drawing criticism, but the fear of being criticized and misunderstood should not paralyze one from taking risks in faith, once a particular inspiration has been carefully discerned and has received the blessing of competent authority within the Church. For my part, the joy of this new step far outweighs the sorrow of yet another detachment in my life. My experience and knowledge of Our Lord's love far outweigh the experience and knowledge of my own weakness. It is fear that snuffs out new life. 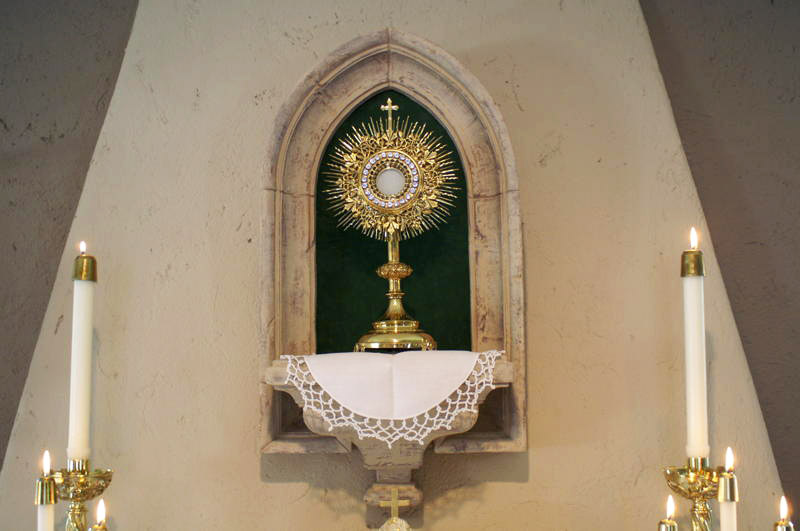 It is trust in the faithful and merciful love of Christ that permits one to follow the sound of His voice, even on those days when a dense fog should make all movement perilous, and in those nights when the light of the moon and stars seems to have receded into an impenetrable darkness. The first issue of our newsletter, In Coenaculo, deals with these questions and answers them. You can download the newsletter here. My own desire was to relocate humbly and quietly, without drawing any attention to ourselves. We are going to Ireland to do what all monks everywhere do: we are going there to pray. We are going out of a profound gratitude for all that the sons and daughters of Ireland have given to the upbuilding of the Catholic Church in the United States. We are going to disappear into the heart of the Church in Ireland, to be love in the heart of that Church, and of the Church universal. Brother Benedict and I are going over to Ireland like the tiny mustard seed. We are very little; the grace of Christ is immense. We are very frail; the grace of Christ is strong. We are probably very foolish; but the grace of Christ will make us wise. We are supported in our mission, not only by our beloved father in God, Bishop Edward J. Slattery of Tulsa, but also by our growing Oblate family in the U.S. We are, moreover, prepared to receive God-seeking men once we are settled in our new home. 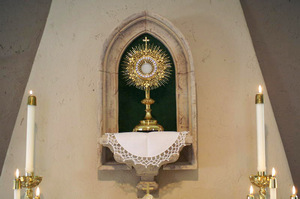 Ours is a mission to Ireland, it is true, but a mission that seeks not to teach, but to learn by abiding before the Eucharistic Face of Jesus; not to preach much, but to listen intently to the secrets of the Eucharistic Heart of Jesus; not to reform anything or anyone but to reform ourselves by the steady and quiet pursuit of the conversion of our own hearts. Deacon Keith Fournier of Catholic Online has written a beautiful article on our monastic mission to Ireland. Whereas many folks seem not to "get it," Deacon Fournier does, and he "gets it" in such a way that one comes away from reading his article feeling humbled, grateful, and on fire with a holy charity. Thank you, Deacon Fournier.